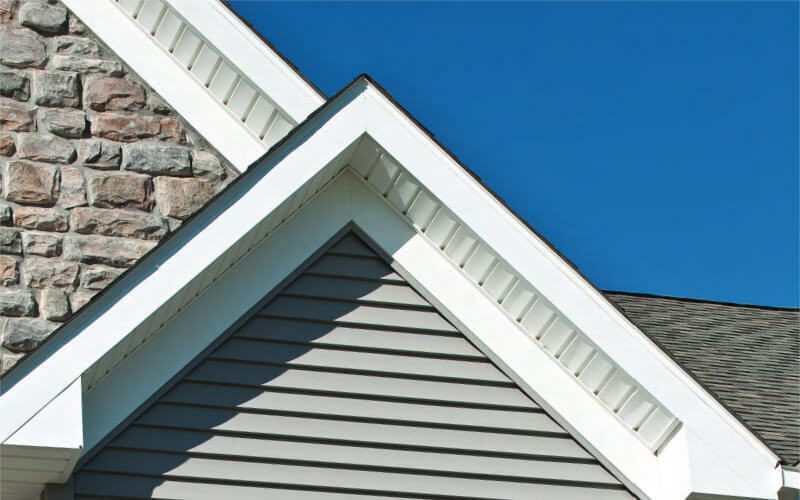 With Mastic vinyl soffit, you can extend the low maintenance beauty of Mastic up under the eaves – which helps avoid repainting and costly repairs in the future. Easy to install, Mstic vinyl soffit is available in a variety of grades, styles adn colors. 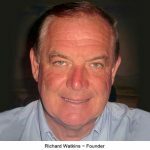 Like all Mastic Home Exteriors products, all Mastic soffit is backed by a V.I.P. Limited Lifetime Warranty. 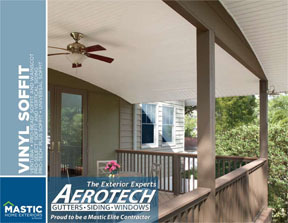 Click the pamphlet below to learn more about how the experts at Aerotech can take the worry out of being a homeowner with Mastic soffits.